This document describes how to spin up a multi-host Docker swarm cluster built on a VXLAN overlay network in AWS, where a host is a AWS instance and multiple hosts may reside in the same VPC or different VPCs. If there is underlying network connectivity to connect VPCs securely (such as using Aviatrix encrypted peering), a swarm cluster can span across multiple VPCs and to Azure and Google. 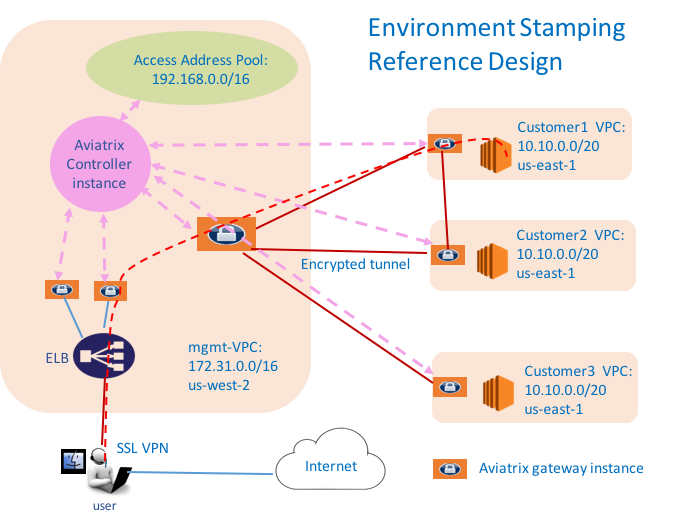 For a reference design on how to use Aviatrix OpenVPN® capability to remotely access containers in a swarm cluster in the same manner as accessing instances from your laptop, for example, being able to use “curl” to a container running a web service, check out this link. To build a Swarm cluster, there needs to be a manager instance, a consul instance, and a few hosting instances. To simplify the topology, manager and consul are combined into one instance. There are many How to resources online on creating a swarm cluster with a VXLAN overlay network, the guide below is intended to be a reference. The above command returns a json output, look for “IPAddress” under my-overlay-network. docker network inspect my-overlay-network, where my-overlay-network is the overlay network name. where test01 is the container name. You may need to modify “Security Group” of each instance and manager to allow the access to their ports.